I've never made or even heard of chicken "pillow" until recently while browsing Pinterest. I decided to mix it up and make my own take on one of these chicken pillow recipes. They were pretty easy to prepare and both my husband and toddler enjoyed them as well as myself! Preheat oven to 375 degrees. Lightly grease a cookie sheet with cooking spray and set aside. Mix together the chicken, one cup of the salsa,cream cheese, and shredded cheddar. Unroll your crescent dough and press together two triangles to create one rectangle. Make sure you press together the perforations well so your filling wont ooze out. You should have 4 rectangles total. Spoon about 3 tablespoons of chicken mixture into the center of rectangle. Fold each corner over the center of filling. Press together to cover filling entirely. Shape into a ball. Repeat with all rectangles. Once all pillows are formed, dip each into the shake n bake. Place each coated chicken pillow onto the cookie sheet. Remove from oven and top each pillow with remaining salsa. Sprinkle with green onions if desired. Enjoy! 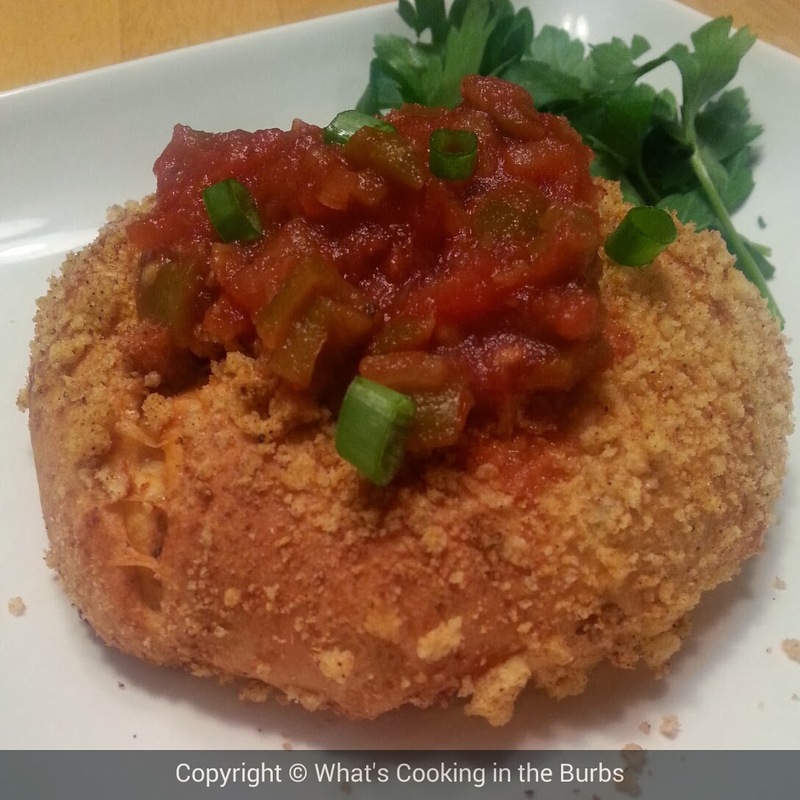 What a great idea, I will have to try your recipe for Salsa Chicken Pillows, they look awesome! Thank you so much for sharing with Full Plate Thursday and have a great weekend. Thanks for linking up with the Let’s Get Real party. We hope you’ll join us again next week.